Real Maple Syrup - How Do You Tell The Difference From The Fake Ones? I rarely eat an “American breakfast” but on very rare occasions when traveling, I have very little choice when presented with “complimentary breakfast” at hotels. During a recent travel, I found myself in such a situation. I see hotel guests making pancakes from an automatic pancake machine. Wow, you just press a button to indicate how many pancakes you want, and voila! You have your pancake spit out from the machine like a photocopier, within minutes. I heard a lady asking her partner, “Do you want maple syrup on your pancakes?” I glanced over and saw her pouring Aunt Jemima over her pancakes. Wait, did she say “maple syrup”? Many Americans have generous helpings of syrup every morning, on their breakfasts – pancakes, waffles, oatmeals, whatever. Americans love maple syrup, but it is not right to call pancake syrup “maple syrup”, because it is not. Do you know if your “maple syrup” is the real deal? How can you tell if your maple syrup is pure or fake? Both are syrups. Does it matter if it’s pure or fake? Both tastes so good. Yes, it does matter. A lot. Many people are not really aware that the syrup that they are consuming are NOT maple syrup at all. Please don’t make this mistake and put your health at risk! The pure and real maple syrup is now considered a whole food, and not just the “healthier sweetener”. Maple syrup consists of the right balance of the complex sugars that don’t cause fat accumulation. In fact, it is even safe for consumption by diabetics due to the low glycemic index. Recent studies reported that maple syrup is able to slow down certain cancer growth and invasion, making it a powerful plant-medicine. It is rich in polyphenols, powerful antioxidants, anti-inflammatory and antiseptic properties. On top of these health-protective compounds, real maple syrup also provides a great blend of micronutrients that make it undoubtedly a healthier option! 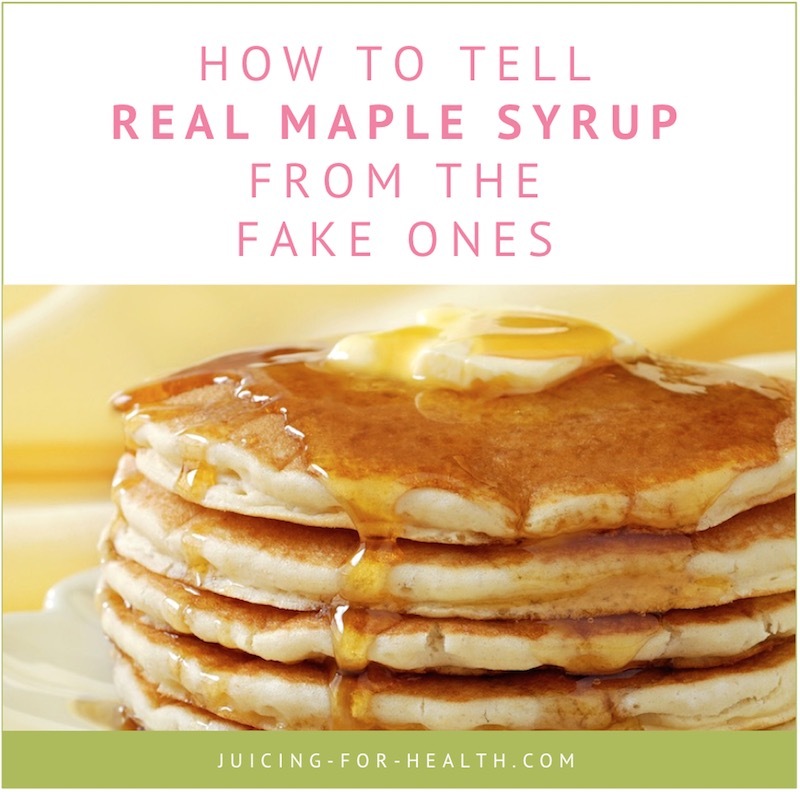 The fake maple syrup, on the other hand, is mainly refined sugar and chemicals that not only feed cancers, but at times may even be the cause of cancers! Refined sugar, the main ingredient in pancake syrups, is a highly toxic compound that can destroy your health. Consuming foods with artificial flavorings, preservatives and colorings of syrups in the long-term, often leads to digestive health issues such as irritable bowel syndrome (IBS) and ulcerative colitis. That is why, it is important to get the real deal, the real maple syrup. One of the outstanding nutrients from real maple syrup is manganese. 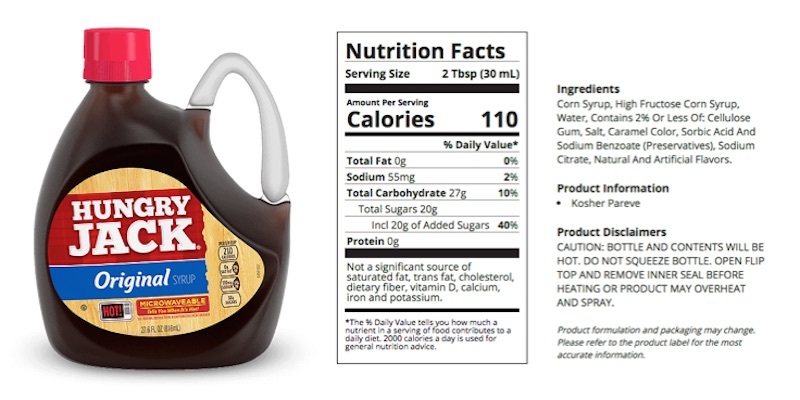 Three tablespoons of maple syrup would contain 100% of your Daily Value. Manganese aids in calcium absorption for healthy formation of connective tissue, bones, blood-clotting factors, helps metabolize fat and carbohydrate, and most importantly, regulates blood sugar levels. It is also essential for normal brain and nerve function. The next important nutrient in high amount is zinc, which is an important mineral that aids wound healing and for strengthening the immune system. Perhaps, what is most important other than the nutrients in maple syrup, are the high antioxidant profile and anti-inflammatory properties that inhibit cancer cell growth. Is Real Maple Syrup Healthy For Diabetics? If you’re counting calories, maple syrup has low calories at about 50 per tablespoon. In terms of its sugar content, real maple syrup is mostly complex carbohydrates with a low glycemic index of just 54, according to Sydney University’s Glycemic Index Research Service. This reading makes maple syrup the perfect sweetener for people suffering from diabetes mellitus. So yes, real maple syrup is healthy and makes a good sweetener choice for individuals who have issues with blood sugar levels. As a rule, the first two (golden and amber) are used for immediate consumption as toppings while the latter two (dark and very dark) are generally preferred as cooking and baking ingredients. Note: Grade A doesn’t mean there are also Grades B or C or D. With the old grading system, there was Grade B and that is now done away with. With the new grading system, there is only Grade A, which is the “healthy” grade suitable for consumption. 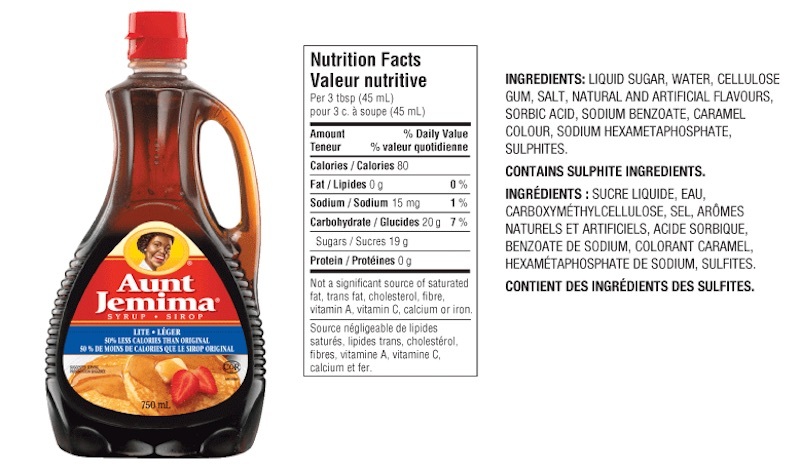 Unlike real maple syrup, pancake syrup is made with artificial preservatives. If you looked at the bottle, you will most likely see a “best by” date, which is about 18 months from the manufacturing date. However, the flavor might still be acceptable for up to three years if it’s stored in an airtight glass container. On the other hand, real maple syrup has high antioxidants content that are natural preservatives. Real maple syrup does not need to be refrigerated. When stored in airtight glass bottles, unopened, real maple syrup has been known to keep for over 50 years although the color and flavor may have altered. Real maple syrup may be stored in an airtight glass bottle, in a freezer indefinitely without going bad. The easiest way to tell pure, real maple syrup from the fake ones, is to simply look at the labels. If you live in North America, just look for the word “maple” on the bottle. According to current US and Canada laws, a manufacturer is forbidden to label the product as “maple” if it’s not made almost entirely from maple sap. 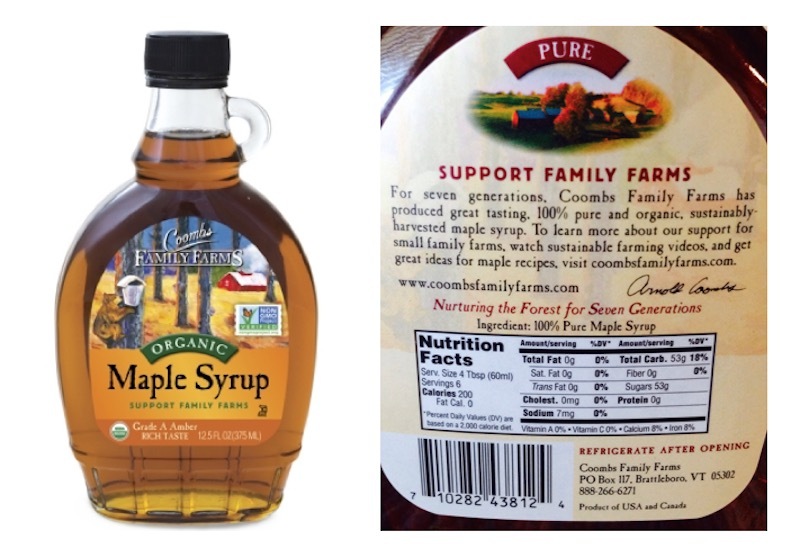 The sugar in real maple syrup is natural sugar, low in glycemic index and safe for diabetics. Costco sells real maple syrup that is pure. 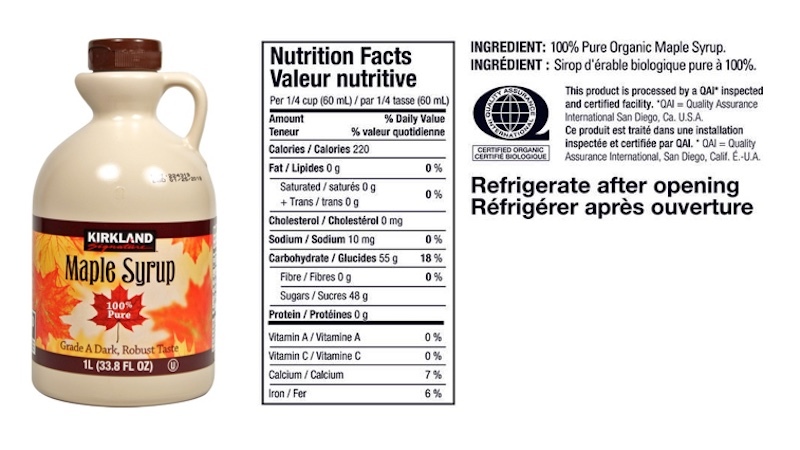 The label simply says “100% Pure Organic Maple Syrup“, no strings of names of chemicals and hidden sugars. I’m happy to know that Costco’s raw honey is also pure and organic. I know because I tested it, and love it! The Coombs Family Farms Organic Maple Syrup. The label simply says “100% Pure Maple Syrup“. NO long list of chemical ingredients. I’m glad that Whole Foods’ brand, 365 is organic maple syrup. It says on its label: “Tapped from certified organic maple trees in the Northeastern United States and Canada, our syrup has a dark color, strong maple flavor and is consistently delectable. Ingredient is simply “organic maple syrup”. Maple syrups from Walmart USA and Canada seem to come from different sources. 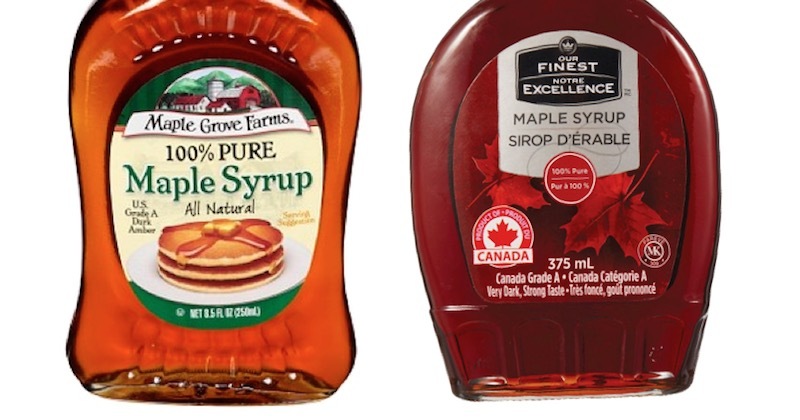 In the USA, the maple syrup is from Maple Grove Farms, while the Canadian one is from “FinestTM Maple Syrup”—a 100% pure Canadian product. Both are labeled “100% Pure Maple Syrup” with no long list of ingredients. Fortunately, with fake and imitation maple syrup, they can no longer use the word “maple” on the packaging. Check the label and you will see a long list of ingredients, some with chemical names that you cannot even pronounce. Anything but maple syrup. For easy comparison, I have worked out the amount of sugar content for each brand by measure of teaspoons, to every 3 tablespoons of syrup. Aunt Jemima Pancake Syrup is a popular brand used in most homes in America. Ingredients: Liquid sugar, water, cellulose, gum, salt, natural and artificial flavors, sorbic acid, sodium benzoate, caramel colour, sodium hexametaphosphate, sulphites. Nope, no mention of “maple”. And by the way, it’s owned by PepsiCo, maker of Pepsi Cola (not surprised!). Sugar: 20g of sugar per serving of 45ml. (About 5 teaspoons of sugar to every 3 tablespoons of syrup). Mrs Butterworth’s Syrup is another top favorite at the breakfast table. Ingredients: High fructose corn syrup, corn syrup, water, cellulose gum, salt, molasses, natural and artificial flavor, caramel color, corn syrup (repeated), lactic acid, sodium hexametaphosphate, sodium benzoate and potassium sorbate (preservatives), citric acid. Sugar: 52g of sugar per serving of 60ml. (About 10 teaspoons of sugar to every 3 tablespoons of syrup). 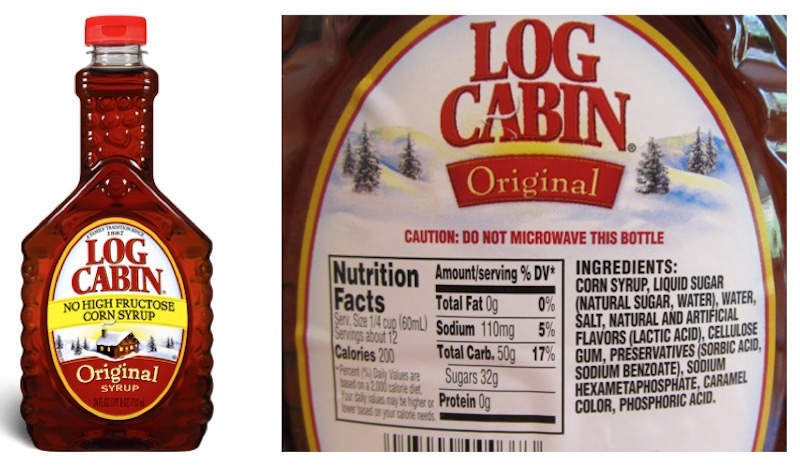 On Log Cabin’s syrup bottle, it says: “No High Fructose Corn Syrup”. Maybe this might be a better syrup? Let’s take a look at its label. Ingredients: Corn syrup, liquid sugar, water, salt, natural and artificial flavors (lactic acid), cellulose gum, preservatives (sorbic acid, sodium benzoate), sodium hexametaphosphate, caramel color, phosphoric acid. Another favorite pancake syrup: Hungry Jack. Ingredients: Corn syrup, high fructose corn syrup, water, cellulose gum, salt, caramel color, sorbic acid and sodium benzoate (preservatives), sodium citrate, natural and artificial flavors. High Fructose Corn Syrup (HFCS): If you see this ingredient on any label, you can be sure that the food is pure, processed junk. Responsible food manufacturers wouldn’t put this in food, and smart consumers shouldn’t eat these foods. Besides the huge load of fructose and sugar found in HCFS, it has also been found to contain other harmful chemicals, contaminants and even trace amounts of mercury! Seeing that so many processed foods contain this harmful ingredient, and that Americans consume an average of 32 teaspoons of sugar every day, one can only imagine the accumulation of contaminants in the body that will eventually lead to some kind of diseases. 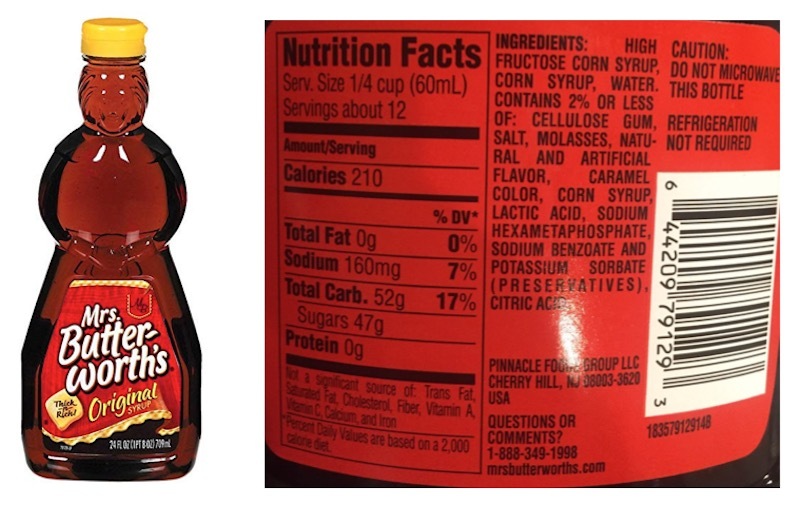 Corn Syrup: Although less harmful that HFCS, it doesn’t mean it’s better. It is sweeter and cheaper than regular sugar, which is why it’s used in many processed foods. In other words, corn syrup is another name for sugar and should be avoided. Sugar: More sugar! If you’ve been following the health trend, you know that refined sugar is highly toxic and can cause inflammation in the body that leads to many diseases. Read 144 ways sugar can destroy your health. Sorbic Acid: Is often used as a preservative in a variety of processed foods. It may be safe when taken in small amounts, but since it’s found in many processed foods, regular consumption of this compound may cause negative health effects such as skin irritation, hyperactivity in children and may aggravate an asthmatic condition. Sodium Benzoate: Is a synthethic compound (made in the lab) as a preservative used in processed foods. Scientists found that the chemical significantly increase damage to DNA. Lactic Acid: Lactic acid is used as an artificial flavoring in processed foods. When there is too much of this acid build-up in your bloodstream, it may cause muscle ache, respiratory issues, disruption in your body’s metabolism and possibly even digestive disorders. Sodium Hexametaphosphate: Is an artificial additive added in foods as a thickener, emulsifier and texturizer. As this compound is found in many processed foods, accumulation in the body may lead to toxicity. When tested on lab animals, some of the negative impacts observed were swollen kidneys, loss of bone calcium, unusual muscle fiber changes and extreme skin irritations. “Breakfast syrups” and “pancake syrups” are not maple syrups. They are all just sugar and artificial chemicals, so stay away from them if you can. If you must have syrup on your pancake, please buy only pure maple syrup, for your and your family’s health sake. Real maple syrup is not only safer, but even has nutrients that your body needs. Read about the amazing health benefits of maple syrup here. Also, how about making your own healthy pancake?